All of the world’s most trusted online casinos bring something unique to the table, and Rich is certainly no exception. This brilliant brand has over a decade of experience in pleasing its players with a massive range of top services and cutting-edge online gambling titles to enjoy. Furthermore, the very fact that Rich offers its own mobile-optimized app shows just how progressive its mindset is, which translates to big rewards and laid-back gameplay for every mobile gaming connoisseur. Everything from Rich’s extensive banking, language and withdrawal options to its software from numerous leading suppliers exudes an air of quality and wealth – and that is exactly what you can expect once you download the optimized mobile app to your smartphone or tablet of choice! Rich’s software is supplied by some of the biggest names in the iGaming industry, and instead of opting for just one provider, the brand has signed on as many as possible for ultimate diversity. Software and online slots from Betsoft, EGT, Habanero, Parlay, Pragmatic Games, Rival Gaming and Visionary iGaming ensures that all of the slots and table games on offer are unique, visually stunning, and extremely rewarding to play. Being a mobile app, you can also expect that all of the titles on offer contain graphics and features that are perfectly optimized for smartphone use. No matter which device you choose to play from, Rich’s games offer magnificent themes, visuals and animations for every occasion. Deposits and withdrawals are made easy with this sleek mobile app. At Rich, you can expect rapid withdrawals and affordable deposit fees, if any at all, as well as an impressive range of banking options that are guarded by the latest encryption security. Deposit options on offer include Visa, MasterCard, American Express, E-Check, Bank Wire, and Money Transfers, while withdrawal methods include Bank Wire, E-Check, Check, and Money Transfers. The Rich app also boasts award-winning customer support services through two main channels. Feel free to contact the online casinos support team via email or through their toll-free telephone line for assistance with any queries you may have. 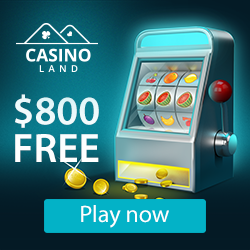 This brand’s extensive range of software providers means that it can offer a much wider range of top online slots and table games than almost any other mobile operator. 3D slots from Betsoft are a particular favourite, but there are also progressive titles to enjoy along with smash hits like Weekend in Vegas, 7 Monkeys, and Mega Gems. Table game fans will also find a myriad of cult classics on the online casino Canada app, including Casino War, Baccarat, European and American Roulette, and even Keno. Video Poker is also a big focus at Rich, with titles like Jacks or Better, Deuces Wild, and Joker Poker on offer 24 hours a day. Sign up for the first time at Rich and you will be able to bag yourself a magnificent welcome bonus deal of 500% over your first 5 deposits. From there, you will also be able to enjoy the app’s world-renowned on going loyalty programme, offering daily and weekly rewards and a selection of action packed online gambling tournaments with huge prize pools to win. If you reach the VIP Club, you will be lavished with even more exclusive offers, including your own personal bank manager and expanded bonus offers. This brand isn’t called ‘Rich’ for nothing!